Pest anemones can be worse than a piece of popcorn stuck between your teeth; they annoyingly consume all of your attention, they multiply quickly, sting animals you like and it seems like no matter what you do to control them, there are always a few that appear impervious to any attempt at eradication. As part of the anti pest anemone kit the Majano wand is an easy to use, quite effective and cathartic way to deal with pest anemones in a reef tank. I was sent a Majano Wand in October for testing, and after using it for several months, I think it is a great addition to any reefkeeper toolbox – so much so, that I ordered one for the public aquarium where I work. The Majano wand is a long, well, wand, with a stainless steel needle tip on the end that destroys pests anemones by electrolysis. When the tip of the Majano wand is activated and touches the thin tissue of majanos or aiptasia that tissue turns into a white, pulpy mass. The Majano wand is easy to use. You pin or pierce the anemones oral disk or body with the stainless steel tip of the device, press the button and the pest begins to dissolve before your eyes. As you continue to hold the button down and gently move the tip around the pest anemones flesh more it is dissolved. Instant gratification indeed. I found the process to be very cathartic when used to quickly destroy some 4 Majonos that had been at the bottom of a 36 inch deep tank for over a year. What a relief it is to be rid of them. I have used the Majano Wand around Dwarf Seahorses (H. zoastrae) and other ‘sensitive’ animals with no ill effects to the fish. I have also used the Majano Wand to destroy small mushroom corals (Discosoma sp) that were impinging on the territory of some super awesome SPS corals. On a cuttle system that I had previously been using Kalk paste to control pest anemones I have found the Majano want to be easier and more effective than the Kalk paste. Nothing to mix up, and no risk to the corals that I like in the aquarium. After several weeks of using the Majano Wand every few days on the pests, I am making a real dent in their population and they seem to be recovering more slowly than they were with the Kalk. 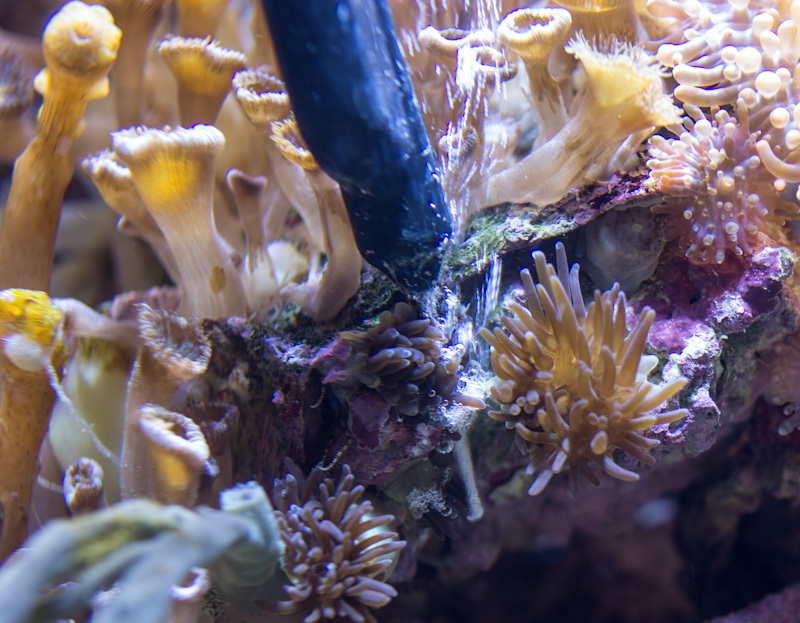 While the Majano wand is not a magic bullet to eradicate pest anemones, it is effective at dealing with those that are on rocks that are not removable from your aquarium. The Wand length is great for some situations, but limits the ability to get the tip of the device to the pest anemones in other situations. However, its all around effectiveness, ease of use and the pleasure of relief it brings when in use makes me recommend it as part of any reefkeepers tool kit. The Majano Wand is available at various retaliers including those found here. Please be sure to follow all the manufacturers instructions.